As most of you know, at the end of each season, we send a short report to all members who have gone with us or are about to venture into any of our expeditions. Well, the idea of delivering this report is for you to see the state in which is our small company and the effectiveness of our support. Also to show how was the development of the different expeditions we make throughout Chile, Argentina and Bolivia. Getting started is very satisfying to comment that guided expeditions by HME guides continue without accidents since its foundation in 2007. 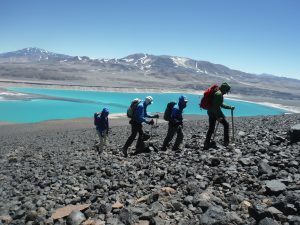 This year we had only to regret a couple of evacuations, for showing freezing problems of the upper extremities of one of our members in one of the biggest challenges in Chile, the Ojos Del Salado with 6983mts. This was taken care of quickly without having to communicate other news. 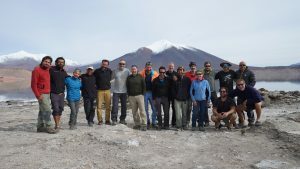 Another issue that needs mentioning is that in the middle of last year (July) we were forced to cancel an ongoing expedition to the second highest summit in Chile, Llullaillaco volcano (6730mts. We asked again the most sincere apologies for not being able to help realize your goal. Clearly we have the compromise to give you the support on the next season. The last difficult occurrence we had was the weather phenomenon “El Niño” which affects too much the normal development of the season in the mountains of the central area by strong winds and very unstable climate which made as chief guide at that time decided to cancel 2 departures to Mt Aconcagua and derive members to Nevado Ojos Del Salado, being very wise decision considering that the season in the Aconcagua was very cold and with a very low percentage of summit. After telling about these three specific events, it is very pleasing to mention the large percentage of success we had in the Andes (North, Central and South). In summary, we made a little more than 30 expeditions support, without your help would not be possible to finish safely and successfully. Again we give you the most sincere thanks for the trust placed in HME and its team both office and field. Also this year we have a big surprise for everyone who knew the headquarters of HME, we are in the process of completing the enablement of an equipment shop and technical clothing and a cafeteria where you can share and exchange experiences among the various guides and members of our expeditions. Finally, it is necessary to inform as ex-chief guide, this coming season 2016/2017 I will only be able to lead two expeditions, one scheduled for December 10th to Ojos Del Salado and the other dated January 22nd to Tupungato. They are two of the greats of the Andes and very different otherwise. Clearly we have a much wider calendar in which you can add, but guided by other HME guides like Miguel, Alberto, Cristian, Brian, Mauricio, Claudio, Ewa, Renato and Carlos. To all of you, I leave cordially invited to visit our new website.